North Wales offers some of the most spectacular and challenging golf course in Britain and Garreg Goch Caravan Park offers an idyllic location from which to base yourself to enjoy your golfing holiday. All our static holiday homes have colour TV, refrigerator, microwave, cooker, shower and full self catering equipment and our competitive prices include gas, electricity and bed linen. We also have a number of mobile homes that are pet friendly should you want to bring your four legged friend with you. ﻿Garreg Goch Caravan Park is only minutes away from Porthmadog Golf Club and within a short drive of many other beautiful and challenging courses. Below we've highlighted six of some of the best courses in Britain that are right on our doorstep. Porthmadog has been described as one of the most enjoyable tests of seaside golf on the British Isles. And it’s not hard to see why. The mixture of heathland and natural links weave menacingly through the sand dunes of Tremadog Bay, providing a real test of golf. Expect stunning vista views along the Llyn Peninsula. The par four 12th calls for a drive over a small bay and a second shot to a plateau green, but it’s the ‘Himalayas’ that’s likely to stick in your memory. This 387 yard par four demands a drive over a huge natural bunker that hides the fairway from the tee. Which is no small challenge. Like your golf as a game of two halves? 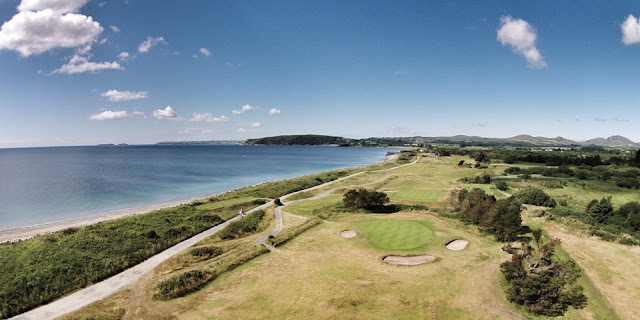 Pwllheli combines gentle mature parkland and tree lined fairways with a true test of links golf. So it’s perfect for pin-point hitters and wayward golfers alike. First established as 9-holes along coarse links in 1900, another 9 holes were added a decade later by 5-times British Open Champion, James Braid. He probably got his feet wet too, as the Clubhouse is closer to the sea than any other in the UK. So after putting in on the 18th, sink a few more in the bar and take in the stunning views of Cardigan Bay. Nefyn and District is a unique championship course with 26 holes. You can see the sea from every tee and every hole offers a risk or reward challenge. The ‘Old Course’ eight holes on the Point have been written about globally and are often compared to Pebble Beach in the US.This spectacular peninsula juts out into the Irish Sea and offers stunning views of Snowdonia and the Wicklow Mountains, which explains why R H Taylor, the golf course designer said, “Nefyn and District is situated on one of the most beautiful sites I’ve ever seen”. Abersoch is a hidden gem nestling behind the sand dunes. This 18 hole course has a mixture of both links and parkland with many testing holes and wonderful views overlooking Cardigan Bay and the Snowdonia mountain range. The signature 3rd hole par 3 with elevated tee requires an accurate drive over both gorse and a water hazard to a sloping green where there’s a bunker waiting at the back. The original 9 holes were designed by Harry Vardon who was six times British Open Champion. Played against the stunning backdrop of the mountains of Snowdonia this championship links course is widely regarded as one of the hardest par 69s in the world. It’s not hard to see why, when two holes rarely travel consecutively in the same direction – making club selection a problem even in the lightest of wind conditions. The 15th is possibly the finest bunkerless hole in the country. The greens are fast, firm and true as a result of best practice in turf management. Sink your final putt in the shadow of Harlech Castle. Then retire to the clubhouse for a welcome drink and reflect on why Ian Woosnam puts Royal St David’s in his five best British golf courses. There’s quite a landmark to help you position your opening tee shot at Caernarfon Golf Club. Simply take aim at Snowdon and give it your best. This slightly undulating course has tree-lined fairways, so it’s a gentle walk. But the views are dramatic. Mountains, the Isle of Anglesey and the Menai Straits can be seen from pretty much every hole. 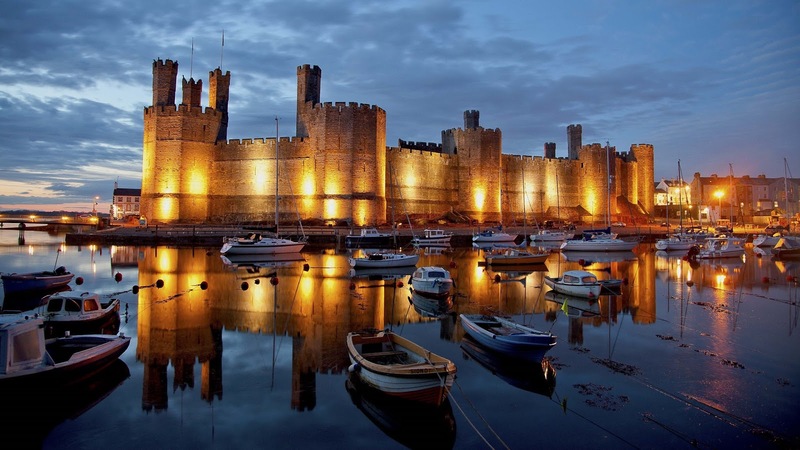 And it’s walking distance from medieval Caernarfon Castle – a World Heritage Site since 1986. The course was extended to 18 holes in 1981 and celebrated its Centenary in 2009. So whether you’re coming with family or with your golfing buddies why not book your golfing break at Garreg Goch Caravan Park. Booking is easy with our online booking system www.garreggochpark.co.uk or if you prefer give one of our friendly team a call on 01766 512210.